HARLOW residents who volunteer can now earn and spend Time Credits on leisure, cultural and community activities in the town and across the country. Time credits is the world’s largest community currency and recognises the value of time and skills voluntarily contributed by Harlow residents to their community and local organisations. 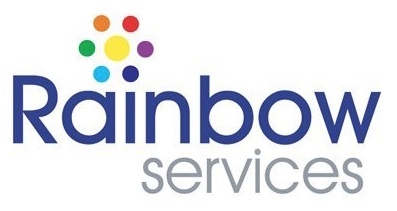 Harlow Time Credits are supported by Harlow Council, with national social enterprise Tempo working in partnership with local Rainbow Services, to build a network of Time Credits earn and spend opportunities. People earn Time Credits by giving their time in organisations like Integration Support Services, Harlow Youth Council, Harlow Arts Trust, Rainbow Services and Harlow Citizens Advice Bureau, by joining in a variety of voluntary activities, from skilled to general duties, for one off events or regular activities. Time Credits can be spent on leisure, cultural or community activities in Harlow and across the national network of Time Credits partners, including well known attractions like the Tower of London, St Paul’s Cathedral. An increasing number of Harlow enterprises are joining the network to offer their services to community volunteers for Time Credits. Essex Academy offer short courses and mobile hair and beauty treatments, while Essex Outdoors will accept Time Credits for climbing sessions. ESOL lessons at Falcon English School or room hire at Harlow Resource Centre are available for Time Credits. Work is taking place to get more local attractions and activities signed up to the scheme. “This is an amazing opportunity for more people to get involved in volunteering and social action with its social and health benefits whilst at the same time be able to earn credits which will offer them free access to a wide range of community, leisure, cultural and social activities, widening their experiences and enabling them to try out new things”. Councillor Eugenie Harvey, Harlow Council’s Portfolio Holder for Community and Wellbeing, said: “We are very fortunate that in Harlow we have residents of all ages who are community spirited and willing to give their time and energy to support the delivery of some of our vital community services. Tempo, first developed Time Credits in South Wales in 2008. Since then, it has grown across England and Wales to become a national community currency system. The Time Credits model has been independently proven to improve levels of volunteering, community participation and health and wellbeing of individuals. An estimated 50,000 people have earned more than 700,000 Time Credits across England and Wales. companies locally to identify and recognise those who give their time for others”.